A blog post published by Reuters reporter Myra MacDonald and on the internet today highlights a recent report from clinics at Stanford University and New York University and argues the “anti-drone campaign” is doing damage. 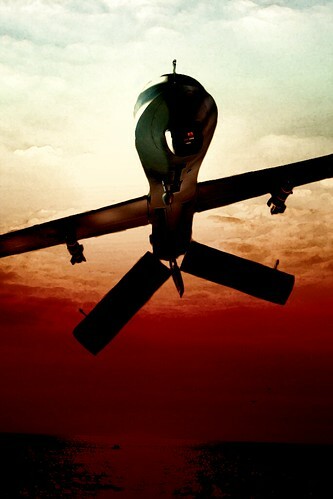 It has been widely circulated on the internet yet makes a number of dubious or completely disingenuous arguments about critics of drones, which is why it deserves to be deconstructed and examined. First, MacDonald’s statement about the “anti-drone campaign” having a belief that means they are for “peace deals with the Pakistani Taliban” is a strawman. There is no citation. She provides no example, where human rights advocates think if the drones stopped militants would stop fighting and the people could negotiate with the militants and there would be peace. There may be leaders in and outside of Pakistan, who think this way, but MacDonald provides no examples. On the issue of not being vocal enough about FATA not being incorporated into the “political mainstream,” does she know of the work the Foundation for Fundamental Rights is doing? The Jurisdiction of Supreme Court and High Court of Pakistan does not extend directly to FATA and Provincially Administered Tribal Areas (PATA), according to Article 247 and Article 248, of existing 1973 Constitution of Pakistan. The Khyber-Pakhtunkhwa Provincial Assembly has no power in FATA, and can only exercise its powers in PATA that are part of Khyber-Pakhtunkhwa. The assembly cannot implement the law directly as it can do in other parts of the province or Settled Areas of Khyber-Pakhtunkhwa. This has created a political vacuum in FATA, Frontier Regions and PATA. Such lawless conditions are said to serve the interests of terrorists, as there is absence of various government departments like police, judiciary, local governments, and civic amenities. There are no civil, sessions, High and/or Supreme Courts of Pakistan in Tribal Areas. This organization of lawyers helped Stanford and New York University researchers on their report, which MacDonald think is a “case study on what can go wrong in the anti-drones campaign.” They are meeting with American activists from CODEPINK right now and are undoubtedly sharing details about the history and political status of FATA. They are concerned about the “political vacuum,” which creates “lawless conditions” that serve terrorists. But they are also concerned about what US drone strikes are doing to further complicate the environment in FATA as well. What MacDonald is insisting is the researchers should have been prepared for “drone victims,” who would exaggerate or fabricate their experiences. People who lost family members, who had their limbs amputated, who had their eye removed, who suffered head trauma, who now regularly experience psychological distress and are on medication—She is suggesting that these people might have told lies or omitted details of their experience for the benefit of the report. Perhaps, she thinks that the ISI coached them (one journalist from The Atlantic has proffered this insinuation). First of all let’s be clear we don’t know, and can’t know, exactly what is going on in FATA. It is hard for outsiders to go there; foreigners visit accompanied by the army; people inside are afraid to speak openly and its journalists say their reporting is hampered by threats from both the military and the militants (for an excellent, report on this, and useful research on a FATA in general, do read this study by Intermedia (pdf)). It is a Catch-22. The researchers should have gone to FATA to talk with residents but had they gone they would have likely had trouble getting 69 people to talk to them for their study. They would have been putting themselves in danger of attacks from militias. So, maybe MacDonald thinks they should not have bothered to do the study. Since they could not do it the way she thinks it should have properly been done, it had done more damage to the effort to promote understanding of the reality of drones in Pakistan. …it falls for the myth – one heavily promoted in Pakistan’s Punjabi heartland – that the presence of militants in FATA is due to its “traditional” (read backward) culture rather than having been foisted on it from outside. The many tribal laskhars raised to fight the militants are ignored. It is anybody’s guess how MacDonald is making her conclusions, but what the report is explaining here is how culture might create situations where the US is targeting a terrorist, who is inside a home with perfectly innocent people. It is context for why there would be civilian casualties, not some kind of passage aimed at blaming Pashtun culture for the presence of militants in FATA. Finally, let’s return to one of the more egregious insinuations made by MacDonald, that the MacDonald doesn not really care about the Taliban or Pakistan army’s violence and do not pay it attention. She writes, “The report was welcomed by both the Defa-e-Pakistan, an alliance of Punjab-based militant and sectarian groups, and the Jamaat-ud-Dawa, blacklisted by the United Nations as the humanitarian wing of the Lashkar-e-Taiba.” Does she really think that Stanford, NYU, Reprieve or FFR produced this report for the benefit of militant or sectarian groups in Pakistan? This is such a smear, a complete trashing of efforts by people concerned about human rights and the law. In conclusion, why is MacDonald writing this? Why have a number of journalists pounced on the report to make sure Americans do not take its findings too seriously? Because she like other journalists thinks the US and Pakistan can either allow drone operations—a least worst option—or it can cease drone operations and let the Taliban have more control? Because she thinks a moratorium on drones would lead to the Pakistan army wreaking more chaos and violence in the FATA region? Why do the two have to be presented as mutually exclusive? Why can’t the US, Pakistan and other countries invest in studying Pakistan and developing non-military ties with Pakistani groups and tribes to address the threat of terrorism? Why can’t there be a focus on economic and social problems in Pakistan that fuel terrorism and also give the Pakistan government and its military the ability to wage brutal violence with impunity? And why can’t reporters like MacDonald take the anti-Americanism of people in Pakistan a bit more seriously? Why isn’t it more genuine or indisputable to them that a majority of the people in FATA oppose the US war on terrorism and want the drone strikes to stop now? One of the most frustrating aspects of the debate on drone strikes in Pakistan’s tribal areas is that it rests on a tangle of assumptions on which neither Washington nor Islamabad can agree. The result is a corrosive discussion which undermines U.S. legitimacy and gives Pakistanis a focus for anti-Americanism which drowns out all other issues, including how militancy should be tackled and the Afghan war brought to an end. Moreover, these reports that MacDonald condemns with sweeping generalizations come from Americans. They are responding to policies carried out by the US government. They are part of civil society in the US and have some obligation to take a stand against policies that may be illegal, immoral or widely misunderstood because they are being kept secret. The US drone policy is that sort of policy. First, MacDonald’s statement about the “anti-drone campaign” having a belief that means they are for “peace deals with the Pakistani Taliban” is a strawman. There is no citation. She provides no example where human rights advocates think if the drones stopped, militants would stop fighting and the people could negotiate with the militants and there would be peace. There may be leaders in and outside of Pakistan, who think this way, but MacDonald provides no examples.